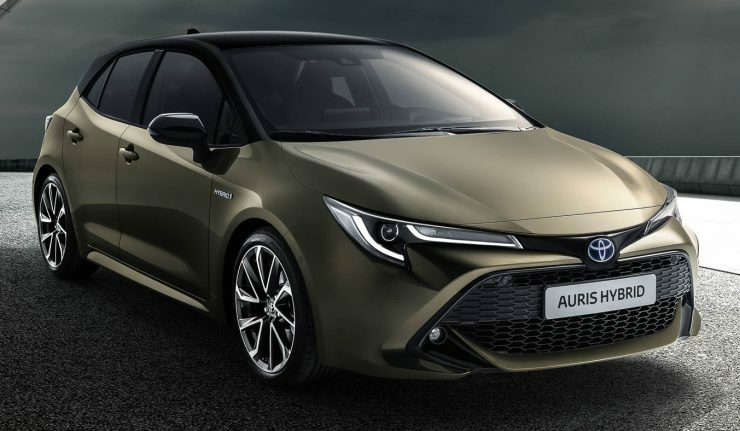 While the Toyota Supra race car concept is making headlines for Toyota at the 2018 Geneva International Motor Show (GIMS), the Japanese carmaker also debuted the third-generation Toyota Auris for the European market. Also known as the Corolla hatchback in certain markets, the new car could point towards the design language of the next-generation Corolla sedan. Dimension wise, the new Auris is longer by 40 mm, lowered by 25 mm and wider by 30 mm for a more sportier appearance. The new car also rides on the Toyota New Global Architecture (TNGA) platform which promises more dynamic driving experience thanks to its lower centre of gravity, more rigid body shell and multi-link rear suspension.Exterior design-wise, the Auris embodies the latest evolution of Toyota’s Under Priority Catamaran and Keen Look design philosophies which resulted in a flat clamshell bonnet, narrow upper grille and slim headlamps. At the rear, you’ll find a roof spoiler as standard on all model grades, a pronounced bumper design, sharp tail lamp graphics and a large C-pillar. Customers can also opt for the optional black roof that gives the car a two-tone paint scheme. Under the hood, you’ll have the option for a 1.2-litre turbocharged petrol and two hybrid options – 122 hp, 1.8-litre or a 180 hp, 2.0-litre. 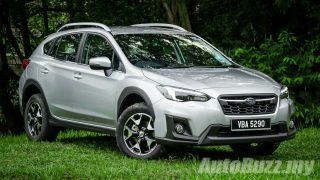 The reason for adopting two hybrid powertrains is catered to customers who appreciate the traditional benefits of fuel efficiency as well as the keen drivers who look out for a sportier ride. The 1.8-litre system is able to offer pure-electric driving in most conditions while the 2.0-litre engine takes full advantage of the TNGA’s chassis, promising ride comfort, stability, handling and driving enjoyment.